And we’re teaching the Scriptural principles that relate to the three God-ordained institutions of family government, church government, and civil government. You get the point. It’s important. Understanding what the Bible says about these three governing institutions gives you the vision for what society is supposed to look like. 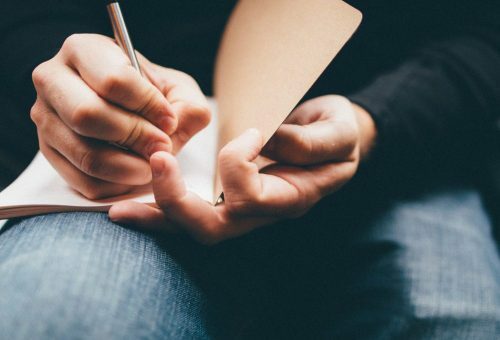 Having the vision of God's intended order helps you know what the ideal is, how to pursue it, and how to do the most good. You can think of us as your tour guides on this adventure to learn biblically what the proper role of government is. 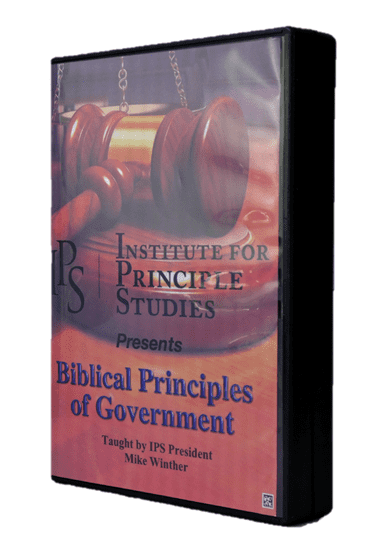 The Institute for Principle Studies' flagship class can now be seen in your own home, church, school, or social gathering! "What is the proper role of government?" If you're puzzled at the importance of this question, then you're in one worldview-shifting and paradigm-shattering ride! Because the answer to this question impacts the very fabric of society and your well-being. Pick up this one-of-a-kind DVD series today and gain the vision, passion, and knowledge for becoming a world-changer for Christ! Help change america! Share the News. 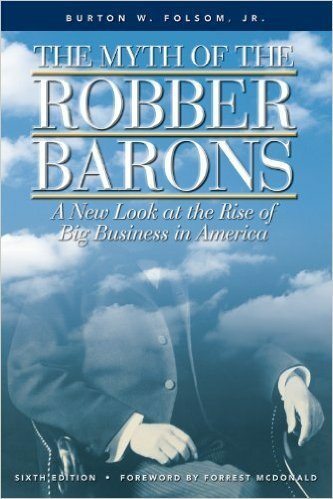 Check Out The IPS Bookstore For Time-Tested Works that will enhance your worldview. IPS is asking and answering the hard questions about what the proper role of government is and what it isn’t. Learn how IPS is communicating this message and what it’s doing to revive civic understanding among the people. IPS addresses the ethical component first and foremost when evaluating government affairs and public policies. 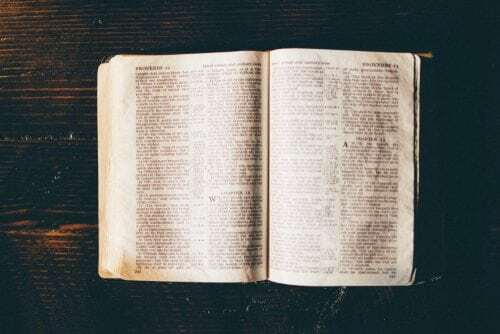 Peruse our assortment of articles, audio, books, and videos to learn more about biblical principles relating to government. Lone rangers don’t change the world; it takes a team. We’re laboring to reform our country based on truth. Want to join in? 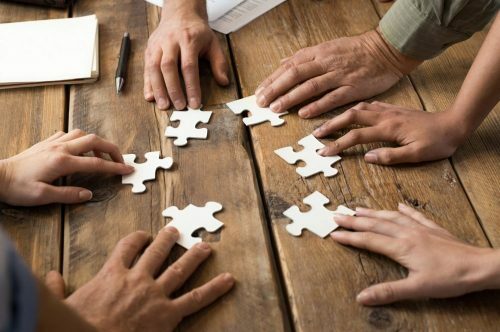 The main forms of involvement, include: financial partnership, volunteering, and collaboration, just to name a few. Find local book clubs near you or, if you don't see one, start one! We'll help you get it going and promote it to everyone we know in your area. Curious about what we're doing and where? See what's happening this month, in your area, and throughout the year. 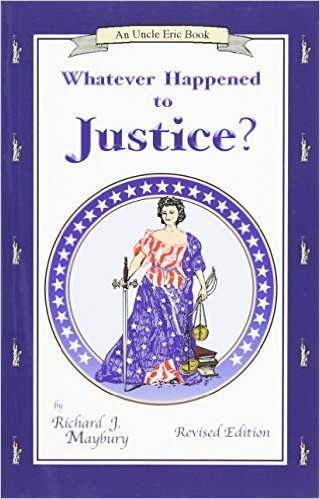 Curious How We Promote Justice & Restore Liberty? Check out our educational and discipleship programs. Could We be Campaigning our Way to Defeat? The Presidential Campaign: Side Show or Main Event? Learn more about each activity. 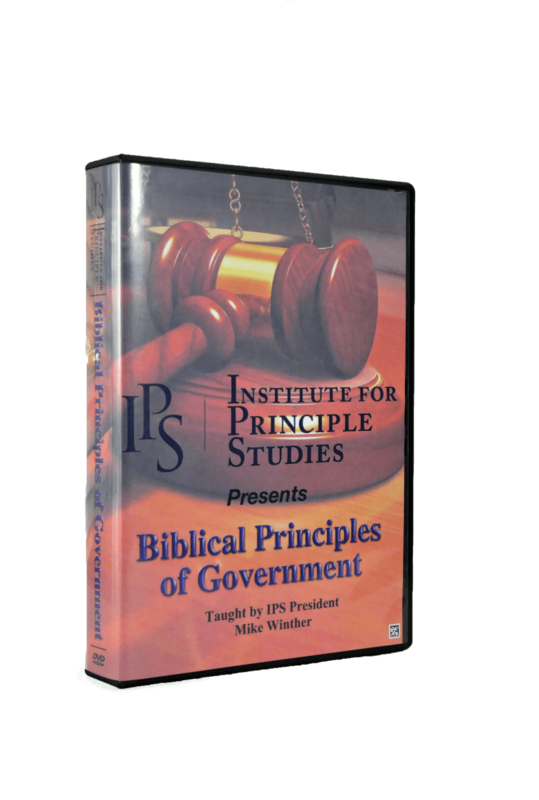 Each of these endeavors fulfills the mission of the Institute for Principle Studies (IPS) to research, teach and train the biblical principles that apply to government and economics. Learn more about the mission of IPS.